Travel bloggers and writers are experienced in finding the must-do attractions in an area, participating, then giving their honest feedback to potential visitors. Jamie, Jennifer and Heather all recently shared their top reasons a cruise aboard Wild Hearts should make your list of can’t-miss activities during your Orange Beach vacation. 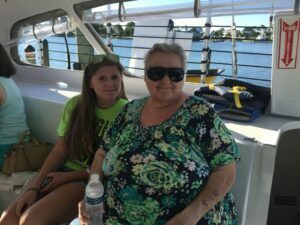 “We had a group of tween and teen girls when we traveled to Orange Beach and they all loved our Sail Wild Hearts experience. It is a must-do outing for kids of all ages, as well as adults. I tried paddle boarding for the first time and learned to love this new skill. The crew of Sail Wild Hearts is extremely professional and the cruise was amazing. We even spotted some dolphins!” -Jamie Reeves, Blonde Mom Blog. 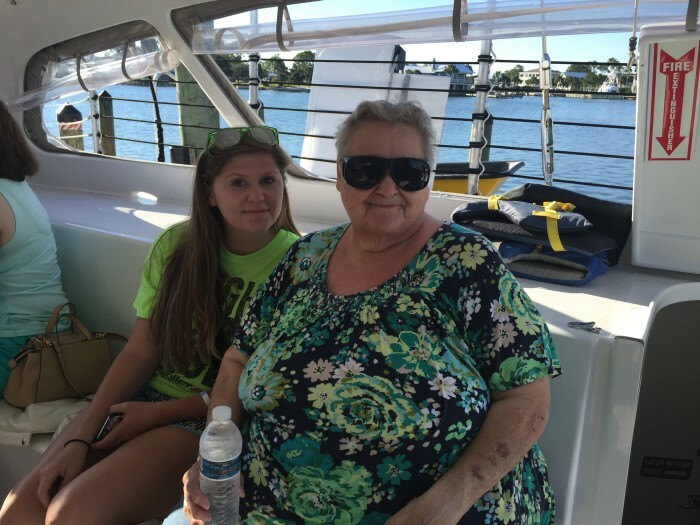 Read about Jamie’s time on Wild Hearts in her blog, Alabama Gulf Coast Family Adventure. “Sail Wild Hearts has everything that we enjoy from great music to dolphin watching. 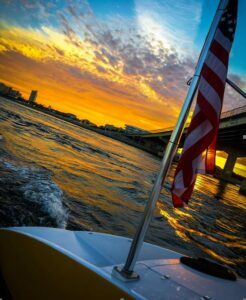 Taking this cruise is by far the best way to wind down your day, while enjoying a breathtaking Alabama coast sunset. Entertainment with the friendly staff is one of a kind, for example where else can you have an intimate hula hoop competition with the captain?” -Heather Boothman, A Brit and a Southerner. Find out more about Heather’s adventures in her blog, Girls Getaway – Setting Sail to the Gulf. “Sail Wild Hearts really showed me that they value me as a customer. They went over and above by making sure that my mother-in-law was able to get on the boat. She has a really hard time climbing stairs so they assured me they could get her on and off – and they did! Just them going the extra mile to make her comfortable and making sure she enjoyed her first-ever boat ride just blessed our family beyond measure.” -Jennifer Sikora, Jen Around the World. Learn more about Jennifer’s experience aboard the 53-foot catamaran in her blog, Take a Ride on Sail Wild Hearts.